With the Back-to-School shopping season now in full swing, many families are scrambling to prepare their children—and their wallets— for the upcoming school year. The Back-to-School shopping season has historically been the second biggest shopping season of the year, and this year will be no different. It is estimated that $72.5 billion will be spent this year alone on various classroom supplies, clothing, books, and electronics. Not surprisingly, many families are also turning to the web as a convenient way to buy the supplies their children need in order to make it through the year. 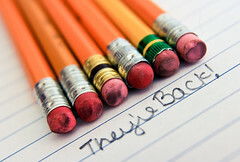 Between 2003 and 2012, Back-to-School online spending quadrupled, and as more and more shopping has moved online, the Back-to-School season has become a critical factor in the overall success of many online retailers. The following infographic provides valuable research on how much money families will likely have to spend this year on Back-to-School supplies, what they will be spending their money on, and what their shopping preferences (online vs. offline) will be. Take a look at this valuable infographic to learn how your business can take advantage of popular shopping seasons with the power of ecommerce.